At the Social Making: Socially Engaged Practice Now and Next symposium, developed and delivered by Take A Part CIC, Laura used a live twitter feed to explore the relationship between human and nonhuman errors in the postdigital era in her typewriter twitter installation. Where she documented the presentations and lively discussions throughout the two-day event. The symposium brings examples of international socially-engaged practices to the South West of the UK and is the only within the region. The event provides support and learning for artists, community members, curators, arts organisations, councillors, commissioners, producers, students and academics – the list goes on. As individuals, organisations and communities, we want to ensure the region continues to produce and support high-quality, risk-taking and ambitious public arts programmes. 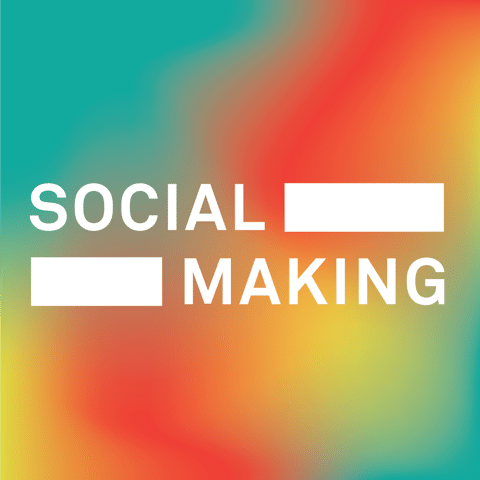 In addition, Plymouth is a place brimming with socially-engaged practices delivered by innovators and risk-takers alike, making it the perfect setting for the Social Making symposium. As a durational, performative, typing activity, Laura captured conversations and documented the presentations and lively discussions. 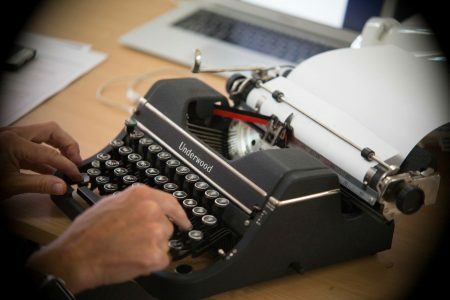 Through her durational typing, Laura captured conversations and created errant driven documentation of the event on a typewriter linked to twitter. The feed was projected real-time in the space as a live documentation of the event, where the errors became more dominant, as Laura’s typing ability deteriorated.